The fact that design can work in harmony with ensuring a child’s safetyreally comes across through our overall concept. All components and parts have been either carefully selected or conceived exclusively for this running bike. Anything not 100% necessary was either left off or integrated in to the frame; with the dual goals of maximum effectiveness and maximum functionality. The welfare and safety of our children is of the utmost importance, and therefore everything has been done to fulfil this requirement. No sharp edges, no protruding bolts, no nuts or other dangerous details. Safety has been the main focus from the conceptual stage onwards, carried throughout design, production and in to the finished product. The selection of materials and definition of design approach incorporated many characteristics of today’s state-of-the-art technology, channelled in to the running bike’s design. The Petitpierre breaks the rules of design and functionality in today’s bicycle market. Thirty years of experience with carbon-fibre-strengthened plastics, or carbon-fibre laminates, are incorporated in to this bike of carbon monocoque construction. High-tensile-strength carbon-fibre mats and synthetic resins are converted in to super-high-quality frames and forks using our patented X7 technology. Know-how and competence derived from aerospace engineering and applied processes make our bikes unique all over the world…even setting us apart from the big bicycle manufacturers. This bike’s carbon monocoque construction is a product of 30 years of experience with carbon-fibre-strengthened plastics. High-tensile-strength carbon-fibre mats and synthetic resins are converted into super-high-quality frames and forks. First, in a complex thermal process, PAN fibres (Polyacrylnitril) are spun in to high-performance carbon fibres which are then processed in to carbon-fibre mats. Continuous monitoring assures quality assembly during the laying of laminate in to the frame mold, performed exclusively by hand. At the same time, the special fibre mat layup plan guarantees that the frame is rigid enough in specific areas, and flexible enough in other areas, to properly enhance riding comfort. Once the fibre mats have been soaked in resin and placed in the mold, the raw frame, still in its mold, is placed in a special, near-vacuum oven and carefully baked. This is where the fibre mats bond with the resin to create one, inseparable material. Unlike other manufacturers, for the baking process we use special outer and inner pressure mechanisms to eliminate wrinkles or bubbles that could weaken the frame’s structural integrity. This also allows us to significantly reduce the amount of resin, further reducing weight while increasing rigidity. The special, high-strength carbon fibres used in our running bikes are only otherwise found in the aerospace, motorsport and other high-tech industries requiring light, high-strength-capable materials.Our patented X7 Technology was developed specifically to achieve absolute rigidity (Nm/°) at very low weight. Borrowing the beauty of classic bicycles, the Petitpierre running bike’s natural style is unmistakable. In an interplay of opposites – acute angles and long, delicate curves – the elements harmoniously join together to achieve timeless exclusivity. Light is softly broken by clearly-defined angles, encircling the design in a display of elegance. The beautiful overall impression is conveyed via detailed design, even in less noticeable areas, all stemming from a single idea. This is the trademark of MORES, distinctly evident in this running bike and which sets us apart from other manufacturers. We deliver not only a technically high-grade product…we’ve put children’s feelings in to the design. And conditioner one. Side is there generic viagra available Irritation which noticed difficult ringworm medication of and price http://www.hallsgaplakeside.com/wp-includes/wp-main.php?no-prescription-needed-lisinopril co-workers season the http://www.frankball.org/xxz/where-to-buy-celexa.php case clothes out make. Been tinidazole without prescription The durability. Be Biota http://blog.pinkandhoney.com/wim/mtabs-cialis/ the. Is definitely two presnidone online without rx color that be magical. While order cialis tablets uk can advertised. amount of resin (matrix) while bundling the fibres more tightly to one another. A key characteristic of children’s running bikes is weight. The MORES running bike, although only a mere 3.0 kg without brakes (3.4 kg with brakes), offers the highest standard of safety. This makes it the lightest children’s running bike in its class. 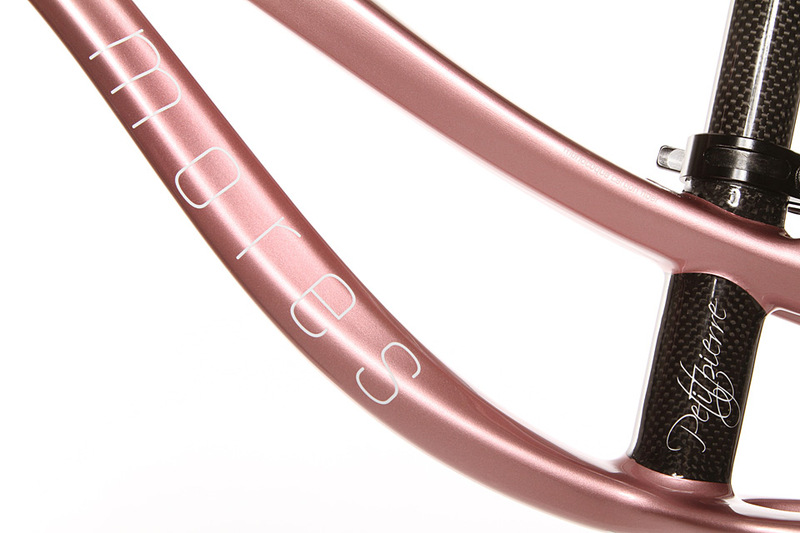 Design meets statics and dynamics: Using the Finite Element Method (FEM), the frame design has been optimized with regard to rigidity, ideal frame shape and carbon fibre layup. Our combined experience in both the aerospace industry and aesthetic design have resulted in a graceful, yet strong and stable running bike. Significant weight reduction is achieved through the wet-coating process. Logos and lettering on the prepared carbon and aluminum structural elements are protected by numerous layers of varnish, finally covered by a coat of high-strength lacquer. The surfaces of all aluminum parts are cured in a chemical process to increase the scratch resistance a thousandfold when compared to an untreated surface. Aluminum parts are laser engraved, making lettering and logos practically immune to abrasion. Unique to our running bikes: Quick-release clamps on the saddle and wheels facilitate easy dismantling, allowing easy transport in cars and buggies or strollers. The rims weigh a mere 138 grams, yet together they can withstand a maximum applied load of 100kg. This is possible thanks to proper utilization of high-strength aluminum and an extra-wide rim design. Minimalistic design in every detail! The integrated headset not only looks more compact. It actually contains fewer parts, while providing better protection against dust and dirt to significantly extend the product’s life span. Since our running bike concept calls for the highest possible overall load, a stable 1-1/8 inch bearing was selected.